This 4th volume of Cardboard Crack features more comics about the world's most addictive game, Magic: The Gathering! This 142 page collection covers the time during the release of M15 to Khans of Tarkir. As a special bonus, it also includes new comics that have never appeared on the Cardboard Crack website. 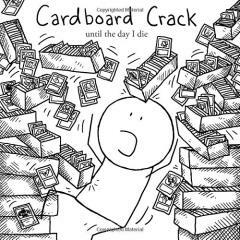 Since first appearing online in March 2013, Cardboard Crack has gained many thousands of dedicated followers and many millions of page views. It also has received links from a variety of prominent personalities in the Magic community, from Aaron Forsythe (current director of Magic: The Gathering R&D) to Jon Finkel (widely regarded as one of the greatest Magic players of all-time).